The CCMS Improv Program is a comprehensive study of game-based, short form improvisation directed and taught by award-winning professional improvisers Jennifer Flack and Eric Price. Students learn, practice, and perform basics and fundamentals of improvisation as well as advanced concepts and skills (scene study, character work, styles, genres, musical improvisation), culminating in a performance at the end of each semester. Students develop essential life skills such as acceptance, commitment, flexibility, critical thinking, courage, full effort, being kind, and authentic collaboration. No experience necessary, but commitment, an adventurous spirit, and a positive attitude are required! Students will be placed in one of the following weekly classes: Tuesdays, Thursdays, or Fridays @ 2:30-4:30. All students must also attend a monthly intensive class @ 4:40-6:15. 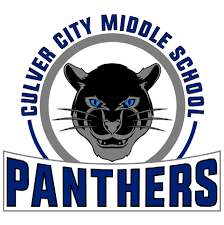 All classes are held at CCMS. Details and schedules will be provided at the Parent Meeting. ★ Attend the MANDATORY Parent Meetings: Dates(s) in September to be announced later this summer. Location TBD, will be provided in an email after you've registered your child. ★ ALL NEW AND RETURNING STUDENTS are required to attend the MANDATORY Trial Class on a date in September to be announced later this summer. Location TBD, will be provided in an email after you have been registered.